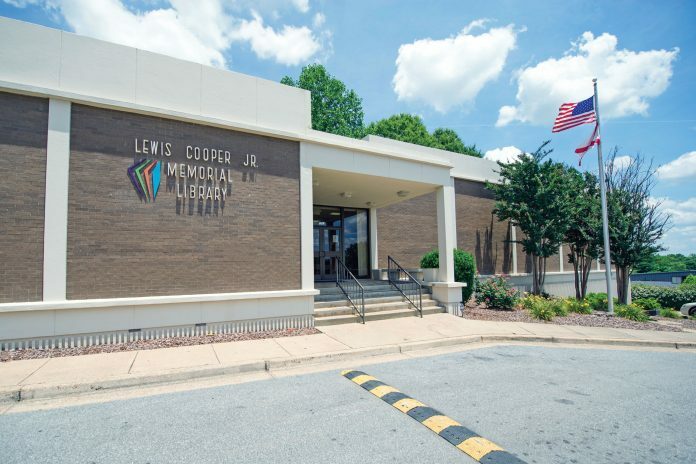 The celebration of Alabama’s bicentennial will continue at the Lewis Cooper Jr. Memorial Library with the return of “Tuesdays at Two: Journey Across Alabama,” a lecture series on subjects and topics deeply woven into the state’s history. According to library director Rosanna McGinnis, the event is endorsed by the Alabama Bicentennial Commission and will feature expert, qualified speakers handpicked from Alabama Humanities Foundation’s Bold Speakers Bureau. “We sort of broke the state down into various regions and tried to make sure each part was covered. All of our speakers are extremely knowledgeable in their area and we think we’ve got a really good spread of events and topics and we’re very excited to share some history about Alabama that might not be as well known,” McGinnis said. Following is a list of remaining dates and presentations for the lecture series, with each slated to begin at 2 p.m.
Feb. 12 “MLK: Letter from a Birmingham Jail” – This session will describe the story and circumstances in which Martin Luther King Jr. wrote the famous “Letter from Birmingham Jail,” a note supporting the use of “nonviolent resistance” to racism. This letter would become a cornerstone document of the American Civil Rights Movement. March 12 – “Alabama’s Own Nat King Cole” – A Montgomery native, Nathaniel Adams Cole, better known as “Nat King Cole” to fans, became a music icon for three decades as a jazz pianist and vocalist. He broke many racial barriers, and had a successful run as a television host of “The Nat King Cole Show,” which aired 42 episodes in 1956 and 1957. March 26 – “Battle of Mobile Bay” – This discussion will focus on the infamous Civil War battle in which Union Rear Admiral David G. Farragut uttered the phrase “Damn the torpedoes, full speed ahead!” Facing a smaller, weaker Confederate navy, Farragut’s fleet emerged victorious. This victory, along with the “capture of Atlanta,” helped further the Union’s advancement into the South and guarantee Abraham Lincoln re-election. For more information about the program and other bicentennial programs across the state, visit www.alabama200.org. The library is located at 200 S. 6th St.